This Easter Song and Movement Activity is displayed on a colorful, decorative poster, and based on the tune of the Hokey-Pokey. 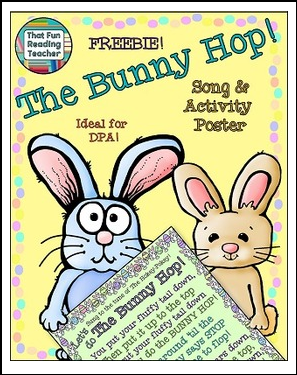 Have your students put on their bunny ears and fluffy tails while they follow the actions of The Bunny Hop! A blackline master is included for student copies, along with a fun coloring sheet to wish someone special a Happy Easter! ☆Spring! Read and Write and More!